There are all information about Hotpicks below, use table of content for quick move on this site. 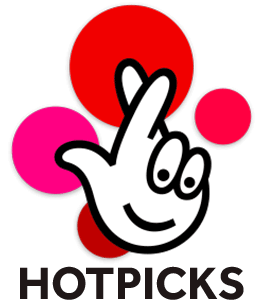 Lotto HotPicks is an add-on game to Lotto using the same drawn numbers. Each player will select how many numbers he or she wants to pick. To win a jackpot you must match all numbers. More numbers means smaller chances to win but a bigger jackpot of up to £350,000. First, you must choose how many numbers you wish to pick. You can bet on 1 to 5 Hotpicks numbers. The more numbers the bigger the prize but the smaller the odds. Now you should choose your lucky numbers from 1 to 59. Alternatively, ask the Lucky Dip to generate the numbers automatically. The same procedure applies to all the lines, in total of 5. In the end, choose a day of draw and the number of draws. 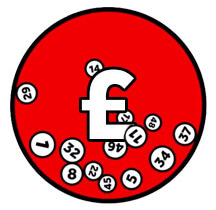 The draws take place together with the draws of Britain’s major lottery, Lotto. From the pot six main numbers plus one Bonus ball are drawn (however, this doesn’t affect your HotPicks). 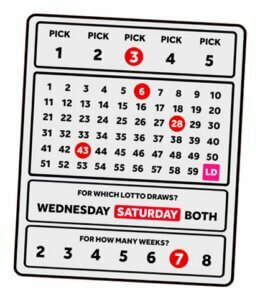 Lotto Hotpick draws take place twice a week, every Wednesday and Saturday at 21 GMT. The lottery sales close one and half an hour before the draw. If you play online the times may differ. Check with your lottery provider the exact time of closing the HotPicks sales. One line for one HotPicks draw costs £1, irrespective of the number of numbers to play. To win a jackpot you must match all numbers. The jackpot prize is fixed depending on the number of numbers in game. If you keep a low profile betting one number only you will win £6. Those who are more courageous and bet 5 numbers may win up to £350,000. You can see all prizes in the HotPicks prize (payout) breakdown. As to the playing options, you can play either online from the comfort of your home or buy a paper slip at one of the retailers in any place in the UK. Play from the comfort of your home. 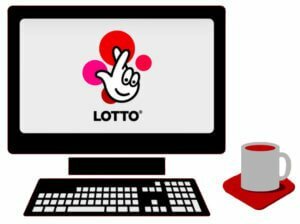 You can use the official website of the National Lottery to play each day between 8am and 11pm. Mobile users may use their smartphone application to play the lottery for example when waiting at a doctor’s office. There is a huge amount of lottery ticket resellers in the UK. They are literarily in every place. You can find them at a post office, newsagent or grocery.